I used to run a themed Friday on this blog- arty farty Friday and for months kept it going with a new piece of art every Friday. But you know how it is…life gets in the way and I didn’t want to become a slave to creating something just so I could continue my Friday feature. That’s not how I roll. I don’t “create” just so I have something to post about, I post when I have something to share. That’s why my posts come in fits and starts. But today just happens to be a Friday and I have a piece of art to share. I am continuing my efforts to create a little more wall art for Pennsylvanian town house while all our Chicago belonging are in storage. Not sure when we will ever see them again as finding a new family home to buy is proving difficult! 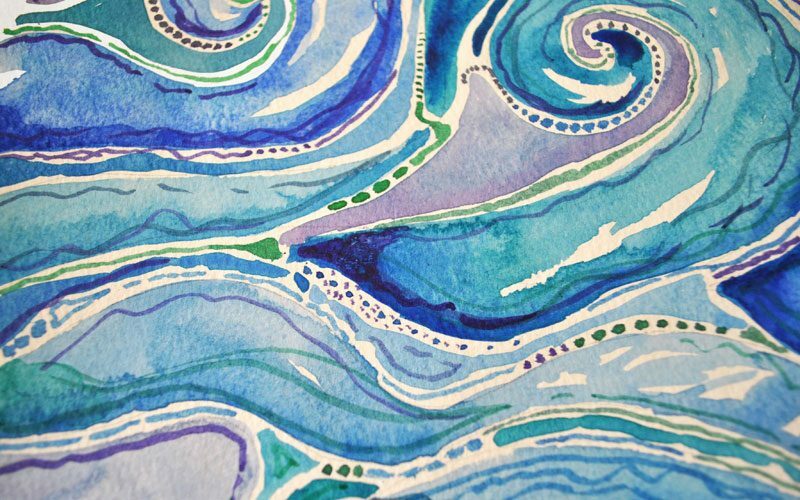 Sebastian the sea horse ,crafted from house moving trash, paved the way for this latest endeavor and following in the coastal decor theme, I knocked up a little abstract watercolor of the sea this week. Just need to find the closest IKEA and I this baby will be ready to grace the wall. 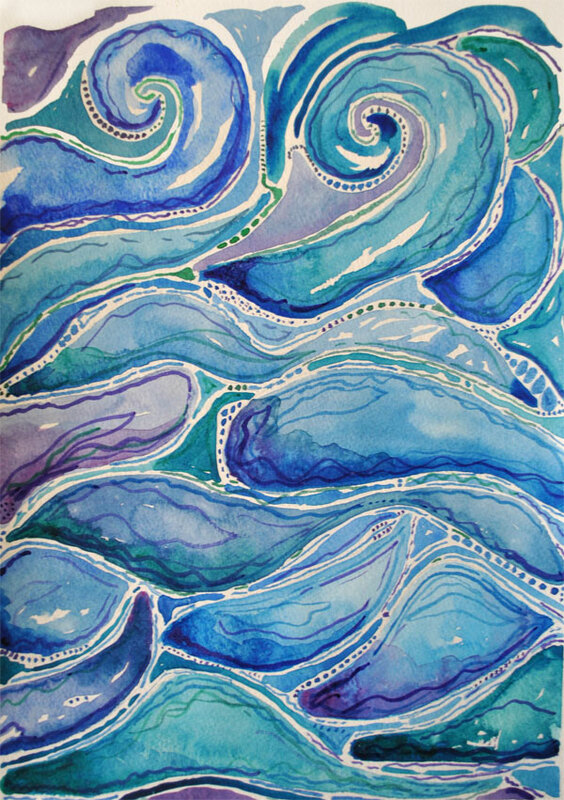 This entry was posted in Art, Arty farty Friday and tagged blue, swirls, watercolor, waves. Bookmark the permalink.